After many rounds of testing, we found this method and ratio of ingredients produces the absolute best classic pesto sauce. Using a mortar and pestle creates a luxurious sauce with a rich, deep flavor and a beautiful, silky texture that's superior to what a food processor can do. Pecorino Fiore Sardo is a slightly milder sheep's-milk cheese, and creates a more balanced, less harsh pesto sauce. Mild olive oil results in a more balanced, less aggressively spicy sauce. 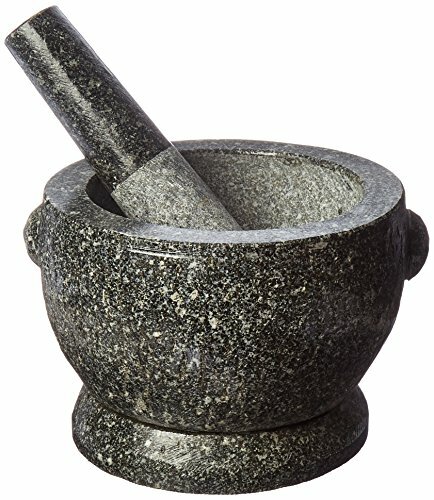 Using a mortar and pestle, combine garlic and sea salt and grind to a paste. Add pine nuts and continue to crush with pestle, smashing and grinding them, until a sticky, only slightly chunky, beige paste forms. Add basil leaves, a handful at a time, and pound and grind against the walls of the mortar. Continue until all basil leaves have been crushed to fine bits. Add both cheeses, then slowly drizzle in olive oil, working it into the pesto with the pestle until a fairly smooth, creamy, emulsified, sauce forms. Add more oil, if desired. Pesto can be served with pasta right away, or transferred to a jar or container, covered with a small layer of olive oil, sealed, and refrigerated overnight. If you can't find Pecorino Fiore Sardo, you can use Pecorino Romano instead, but increase the Parmigiano Reggiano to a 1 ounce, and cut the pecorino to 1/2 ounce. To serve this pesto on pasta, toss the sauce with the drained noodles off the heat, adding a little reserved pasta-cooking water to help bind it all together. Adding pieces of cooked new potato and green beans to the pasta is a traditional Ligurian touch.